This is our favorite Christmas market so we had to mention it first. 🙂 It is very spacious, so you won’t get ran over by the crowd. This market is a great choice if you want to purchase some nice souvenirs or delicacies. It also has a major imperial vibe! 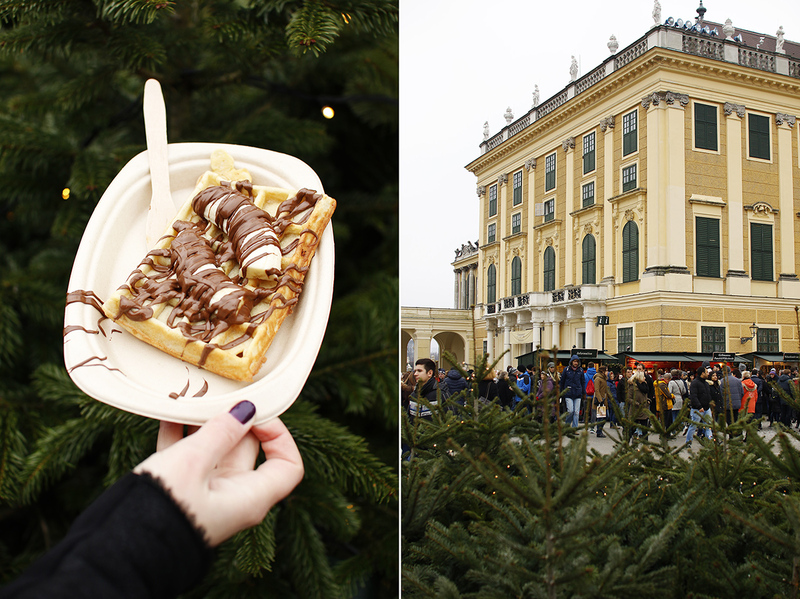 For more information, check our post about Christmas market in Schoenbrunn here. The great thing is that this market is open also after Xmas! 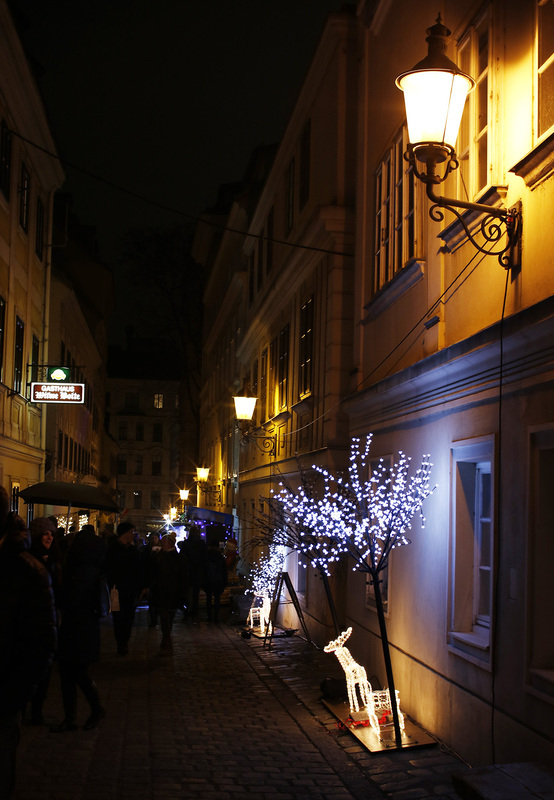 So if you are spending new Year’s in Vienna, and after it, you can still enjoy the festive vibe. 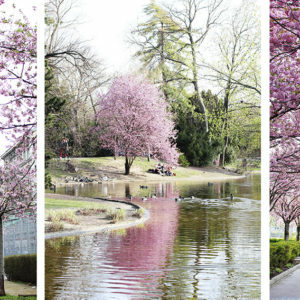 Also don’t miss exploring the gardens behind the palace. Going in is also a must if you are visiting as a tourist! This market is located in the first district, just a few streets away from the main tourist zones Graben and Kaertner street. It is a smaller market, where you can buy lots of souvenirs, they have a great choice of food (we suggest you to try the huge donuts called Bauern Krapfen with jam or a type of garlic bread Langos) and edible gifts, such as gingerbread cookies from Austrian region Bad Ischl (really good ones!). 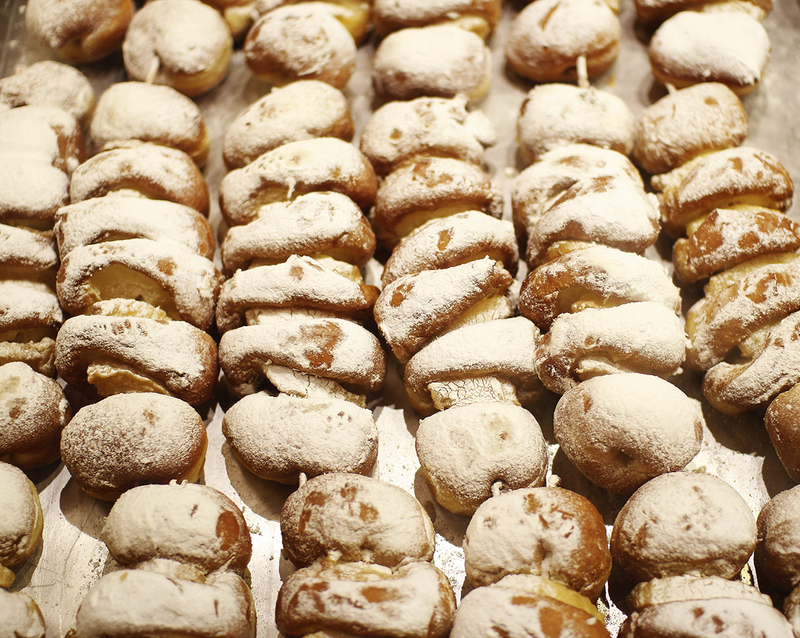 However an absolute must try here, that you can only find on this market, is the sweet warm rose, an Austrian specialty. It is exquisite! For more information click here for a post with more information about this market. 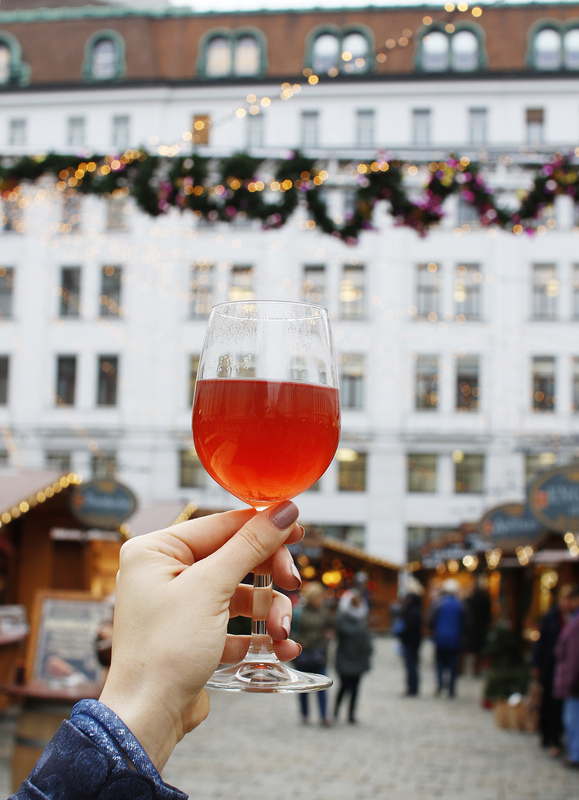 For most of our Viennese friends, Christmas market at Spittelberg is the favorite one. Well hidden from the tourist eyes, in the seventh district, close to Museums Quartier, this market indeed has a unique atmosphere. The cobbled narrow streets and small wooden stands will make you feel as if you were in some other city, far away from the imperial Vienna. So if you are into off-the-beaten-path places and eager to see where the local Viennese people meet for punch, Spittelberg is the place for you. There are many food stands here which differ from the usual ones on Christmas markets (as the one with gnocchi for example), lots of them offering many sorts of punch and ciders, and some nice souvenirs. And the second must have at this Xmas market is the berry punch. You will find it at the stand which is also in the first row next to the building, in the very left corner. As for other stuff, obviously you can find a bunch of overpriced souvenirs (yes, we dare to say so, since almost everything looks like, and probably is, pure mass production stuff) ranging from ornaments, toys, clothes, candles, sweets, everything you can think of. But this is of course a matter of taste, so maybe you manage to get something unique! In case you do, let us know. The largest Christmas tree in the city is also here and so is an ice rink! And the picture you can take of the Rathaus and the market is a classical Xmas postcard from Vienna! A must do! Tip: If you want to walk around this market in peace, you should avoid weekends and maybe even go during daytime. 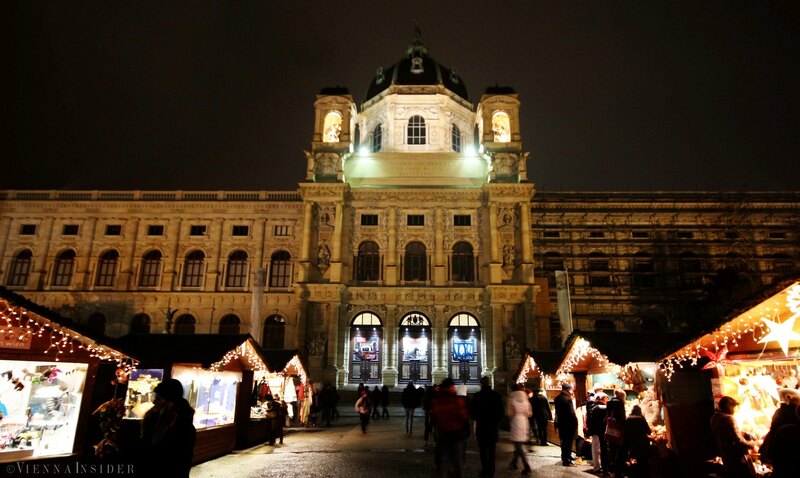 Christmas Market at Karlsplatz is the place to go if you like handmade, artistic souvenirs and if you are with kids. Art and kids, what a combo, right?! 😀 At this market, you will find many stands where artists sell their crafts and art works, and on the other hand, it is perfect for kids as there is a playground with hay and farm animals. You will find more photos and information in a separate article we wrote here. 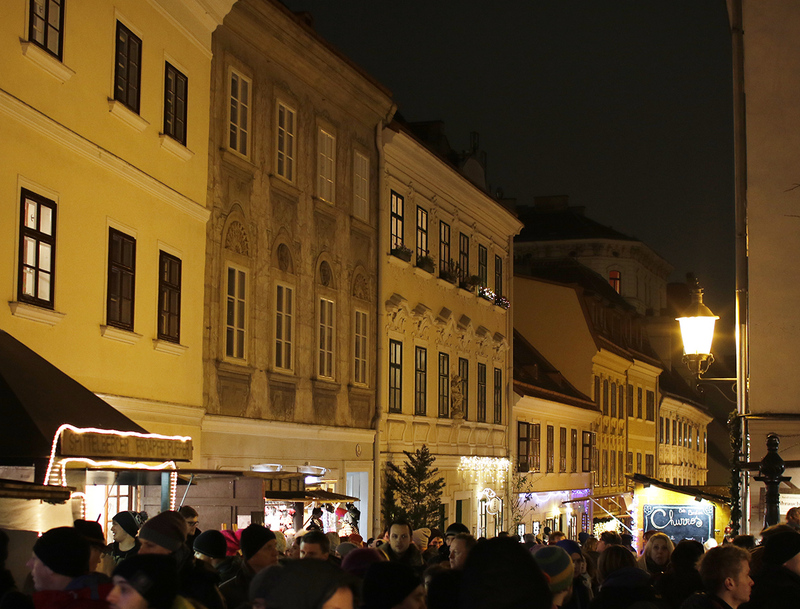 Just like at Schoenbrunn, there is a Christmas market in front of Belvedere palace too. It is not too big, but the stands are very elegant and nicely decorated. We never spotted anything special when it comes to souvenirs here, but make sure to take a look at their website and see what is sold, maybe you will discover something unique! 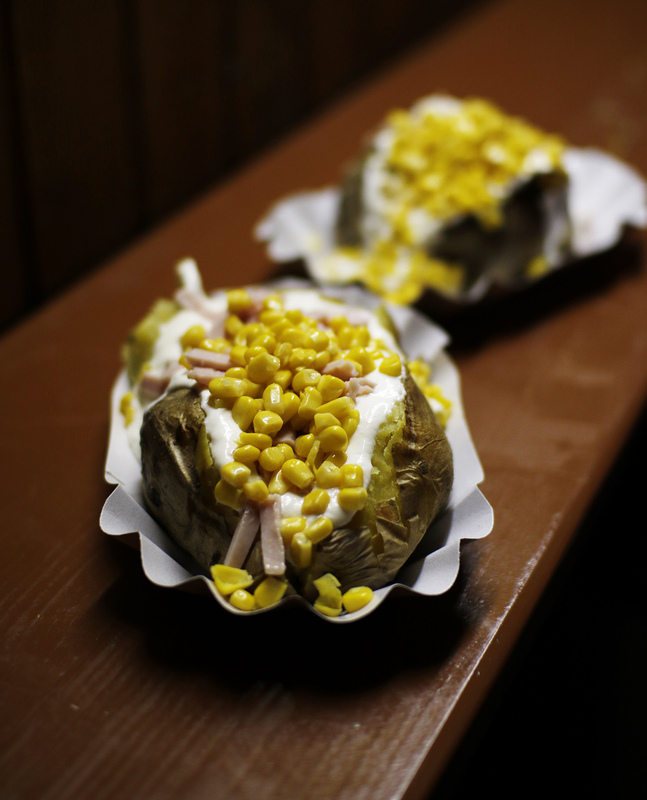 Our favorite treat at this market – potato with melted raclette, served with pickles and Austrian cured ham. Belvedere is always gorgeous and if you are into imperial spirit, you will love the atmosphere of this market. 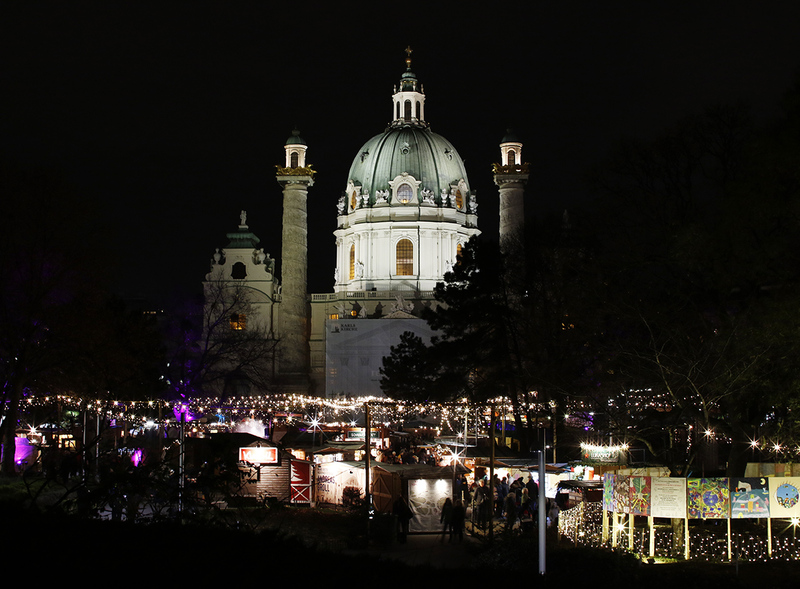 This Christmas village on Maria-Theresien-Platz is located between two most popular, twin museums in Vienna – the Art History and the Natural History Museum. 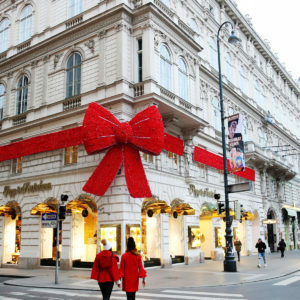 Similar to the one at Rathaus in terms of offer when it comes to gifts and souvenirs, but food wise it differs in a way. We love having the soups served in bread here. You will notice that there are several markets called Christmas Village. They are run by the same company so you can expect many things about them may be quite similar, i.e you may find the same brands that make souvenirs and sell food. So the one at Maria-Theresien-Platz, at Stephansdom, Belvedere and University Campus Altes AKH. You can inquire about them here. It is just a few minutes walking distance from another market at Museums Quartier, which is very popular among young people. You can read more about this market in a separate post here. 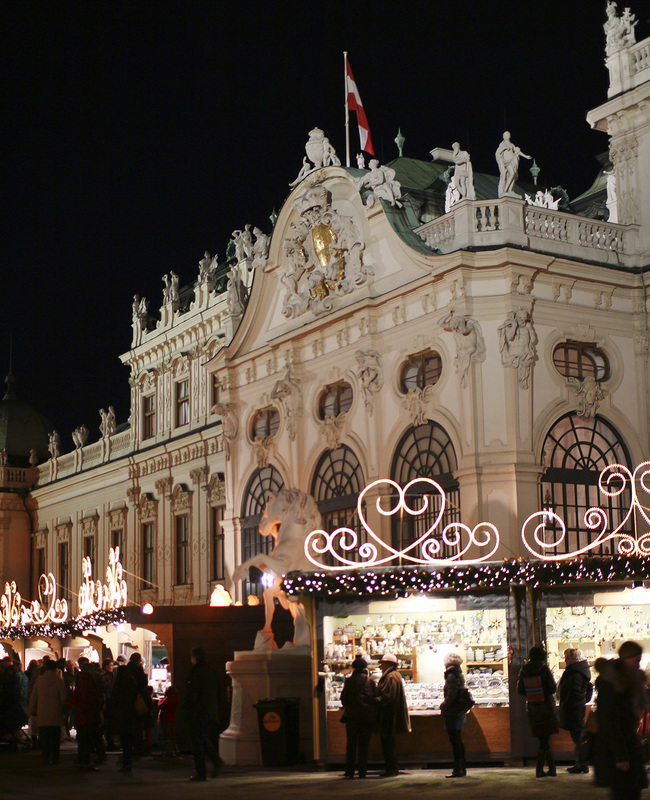 What would heart of Vienna be without a Xmas market? Surrounding Stephansdom, in touristy beehive is guess what – one more market! Very convenient location – take a punch stop and then continue with your shopping spree or sightseeing. 🙂 We recommend you to warm up here with a goulash soup served in bread bun. By the way, did you know that snow-globes were invented in Vienna? You will find them on many Xmas markets, but also here in front of Stephansplatz, you can get the ones made at the original, traditional Viennese snow-globes factory. 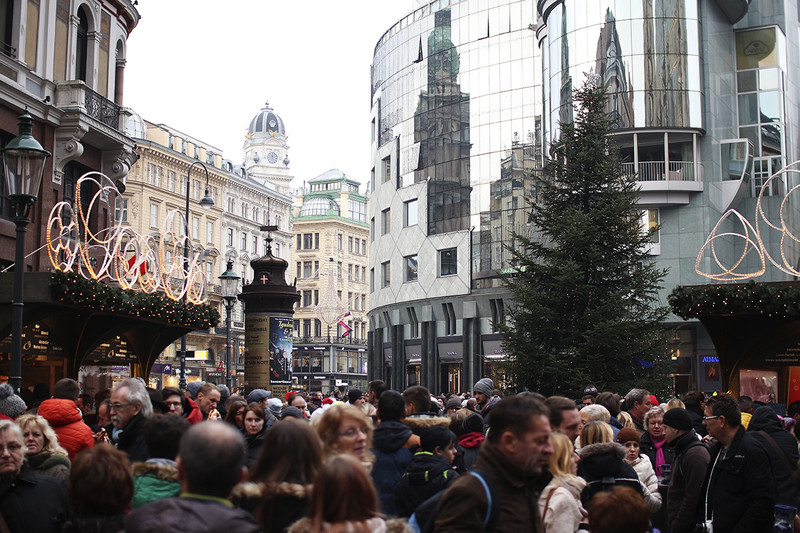 Let us know in the comments, what is your favorite Xmas market in Vienna!